At Natural Therapy Wellness Center, it is our intention to provide our guests with professional and therapeutic services in a relaxing and friendly environment; we will tailor each treatment to our client’s individual needs. The following policies and procedures serve as a guide for our first-time and repeating guests. Please arrive for your appointment 10-15 minutes prior to the scheduled starting time. This allows you the time to fill out the appropriate client form (new clients), change and prepare for the service. All treatment sessions have a specific time schedule and early arrival allows for a relaxed and unhurried experience. If late arrival is inevitable, your service may be shortened in order to keep on schedule and the original treatment time may be charged. Your therapy times are reserved exclusively for you. We value your business and ask that you respect the office scheduling policies. Should you need to cancel or reschedule, please notify us at least 24 hours in advance. Any cancellations with less than 24 hours of notice are subject to a cancellation fee of $50 ($30 for a half-hour session). Clients who miss their appointments without giving any prior notification will be charged in full for the scheduled service. We recognize the time of our clients and staff is valuable and have implemented this policy for this reason. When you miss an appointment with us, our therapists not only lose your business, but also the potential business of other clients who could have scheduled an appointment for the same time. Additionally, many times our staff will be functioning in an “on call” status and may have traveled to the office specifically for your service. For these reasons, we are obligated to compensate our staff for their time. All services require a credit card or gift certificate to guarantee a reservation so please have your credit card and/or gift certificate ready when booking. You will not be billed unless there is a cancellation or no show. Upon checkout, guests may choose their method of payment and are not obligated to use their credit card for payment. All treatment sessions have a specific time schedule therefore we regret that late arrivals may not receive extension of scheduled appointments. In special cases, and when our schedule will allow, we may be able to accommodate a partial or full appointment. This will be at our discretion and only with proper, advanced notification of your late arrival. The original reservation fee will be charged. At Natural Therapy Wellness Center, we understand that unanticipated events occur in everyone’s life. Unforeseen events such as car problems, business meetings and children’s illnesses, are just a few reasons why one might consider canceling a massage appointment. However, we ask that you call if you cannot keep your appointment. Clients who miss their appointments without giving any prior notification may be charged in full for the scheduled service. Prior to each massage session, the treatment plan will be discussed with you. At your first visit with us you will be asked to sign the treatment consent form stating that you have read the information, understand it, and agree to comply with the professional massage therapy or acupuncture policies and procedures. Clients who we have not seen for at least a year may also be asked to fill out this form. In order to help ensure that you obtain your desired appointments, we recommend scheduling your appointment as far in advance as possible to ensure availability. To accommodate your desired appointment a credit card is required at the time of booking to guarantee your reservation. 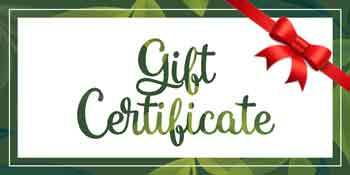 Gift Certificates may also be used in lieu of a credit card to hold your appointment. We hold this information as part of our cancellation policies and only make necessary charges to your account on the date of your scheduled service. Details of our cancellation policy are provided below. Natural Therapy Wellness Center therapists are Illinois licensed professionals and held to the highest standards of the American Massage Therapy Association. Licensed Massage Therapists, Acupuncturists and Reflexologists do not diagnose or prescribe for medical conditions. Our therapist may refer you to a medical doctor for diagnosis or treatment. Our services are not intended as an alternative for proper medical attention for specific conditions. Please refer to a medical doctor for any specific condition which requires medical treatment. Our Massage Therapists are happy to adjust pressure, temperature, musical volume, work longer on an area or move on if you request it. Sexual interaction or discussion of any kind between the client and the massage therapist is NEVER appropriate. We treat all client visits and conditions as confidential. As such, we will not discuss your visit with anybody outside of our staff without your express permission. If you have any questions on the above information, please direct them to the Natural Therapy Wellness Center at 815-385-8190.